Bringing elegance and romance to Las Vegas at the heart of The Strip, inspired by beautiful European villages. The focal point is a Mediterranean 8-acre lake with fountains that dazzle guests with a choreographed ballet of water, music and lights. 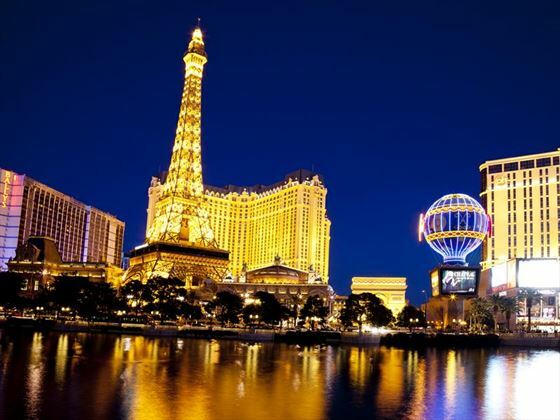 Bright lights, glitz and glamour – Las Vegas is the ultimate party destination. Lavish yet inviting, this exhilarating city will be one you’ll want to return to again and again. 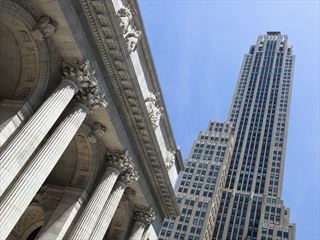 There’s more to it than just casinos though – explore the aquariums, restaurants and zoos, too. Vegas is famous for the glitz, of course, so you won’t find cabaret, theatre and shows in short supply. And Vegas really knows how to put on a show. 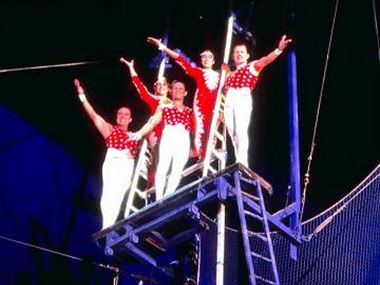 Some of the world’s top performers have wowed audiences here and there really is always something going on. Comedy, magic, impersonations and tribute acts or the real deal – there’s no shortage of live entertainment. Sure, you could come just to gamble your life savings in a casino, but that would be a waste of this city’s many talents. It’s so much more than its gaudy nocturnal reputation. 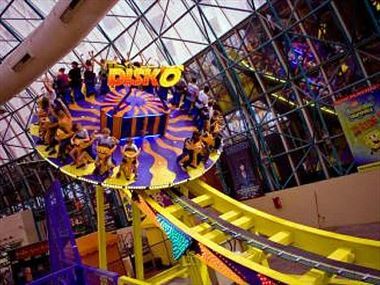 For starters, there’s nothing stopping you bringing the kids along – Las Vegas can be a great family destination. 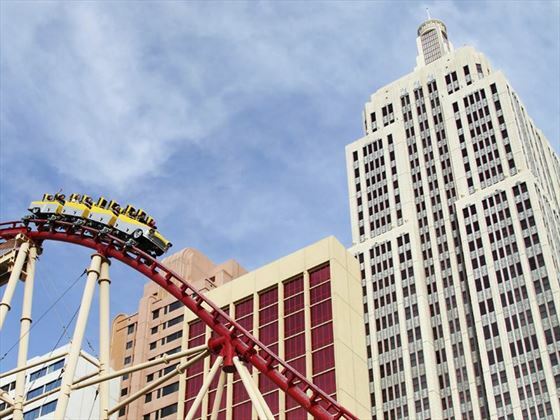 The increasing array of family-friendly attractions makes this a real draw for kids and adults alike, from the video games arcade and indoor theme park at Circus Circus, to the children’s museum found downtown and the shark aquarium at Mandalay Bay. Downtown, you’ll see a softer side to Las Vegas – where the heritage of the city hasn’t yet been wholly replaced. Shop the vintage stores, seek out more laid-back cocktail bars and dine where the locals can be found. The Strip is home to some ostentatious architecture that dominates the skyline – since the 1950s, when the city began transforming itself into what we know it as today, it’s replicated some of the world’s most notorious buildings and in turn developed itself into somewhere truly unique. The flamboyance is charming and an unmissable feature of your time here; revel in the unique ambience that this heady city provides. Entertainment is found by the bucket-load and caters to all audiences, whether you want a sophisticated night listening to live music or a crazy, cocktail-infused club. 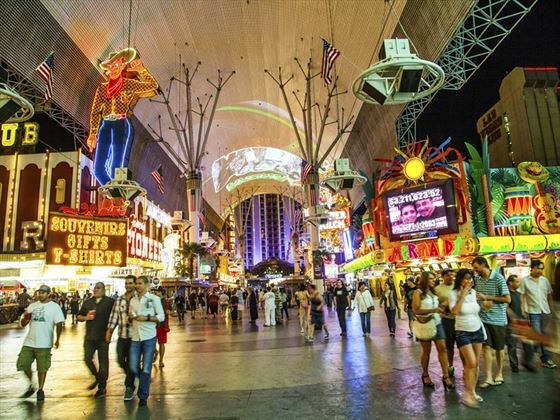 As far as tourist attractions go, Las Vegas is not going to disappoint. An attraction in itself, everything from the hotels to the bizarre museums has a story attached. 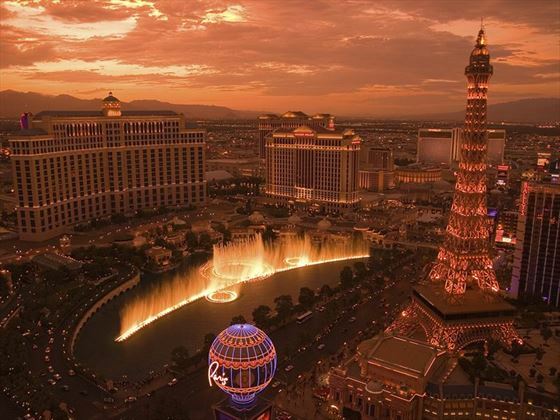 The shopping – Las Vegas comes in at every price point, from the pricey couture to souvenirs. 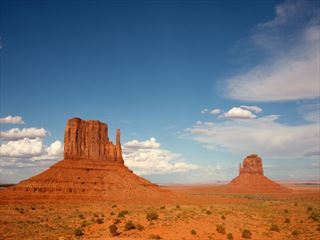 The nearby destinations make this ideal as part of a twin or multi-centre holiday – why not end a trip to Los Angeles with a Vegas weekend, or head to the tranquil Grand Canyon after a wild getaway? 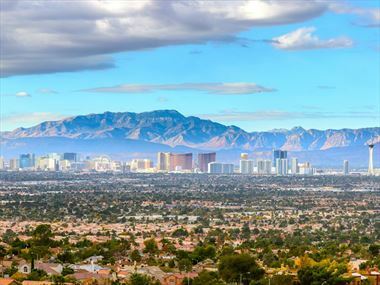 There are a wide variety of things to see and do whilst staying in Las Vegas. Check out our travel guides for some of the highlights, top tips and travel inspiration from our American Sky Experts, along with some essential information you may need for your holiday. 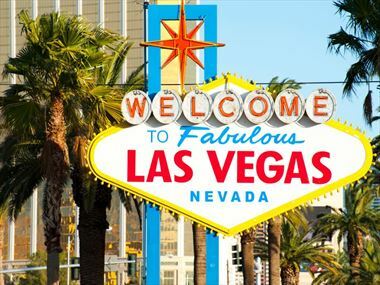 Here are some of the useful facts you'll need to know before planning your trip to the bright lights of Las Vegas. 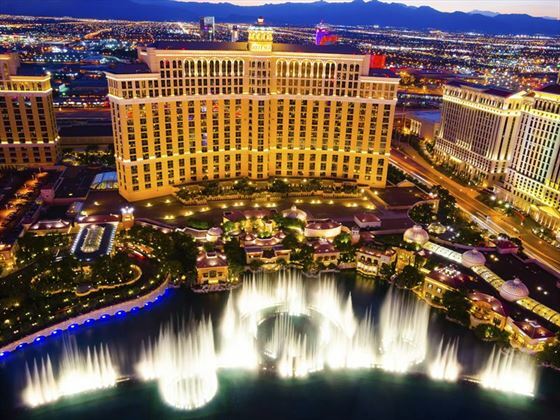 Las Vegas is the ultimate party destination. Lavish yet inviting, this exhilarating city will be one you’ll want to return to again and again. There’s more to it than just casinos though – explore the aquariums, restaurants and zoos, too. While there is a ton to do in Las Vegas, when you want to get away from the bright lights of the big city, you’ll find a lot more than stark, barren desert land to explore. 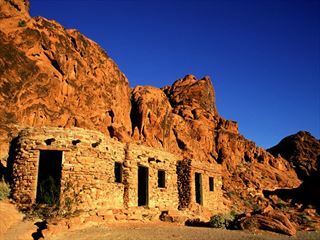 In fact, this area provides the opportunity for a wealth of fun day trips. 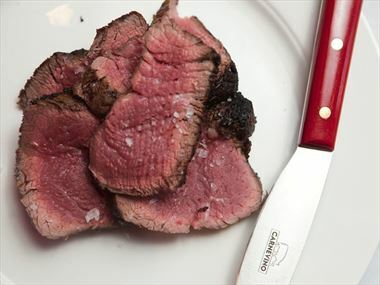 Las Vegas is home to a plethora of restaurants offering plenty of delights - here's our pick of the bunch, including decadent steaks and hot 'n' juicy style shrimp. 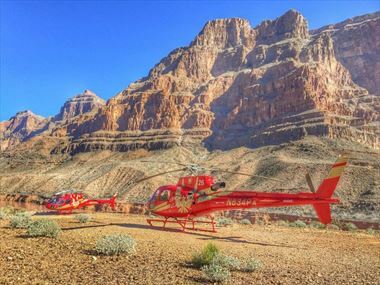 See bird's-eye-views of the incredible, rugged landscapes of the Grand Canyon and more with these thrilling pre-booked excursions. 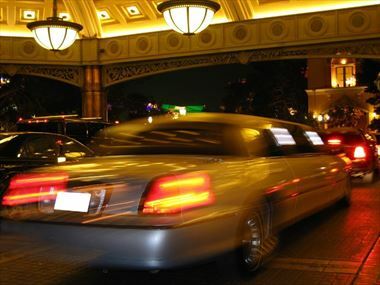 Find out the ins and outs of renting a car in Las Vegas should you want to venture further from the strip at your own pace. 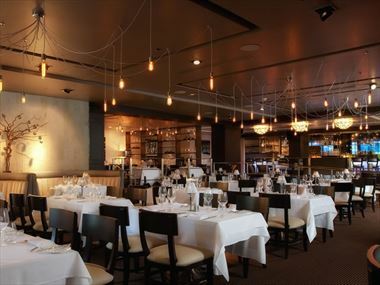 There's so many classy restaurants to choose from, but here's the best restaurants to taste test during your trip to Las Vegas - we've chosen some for every budget! 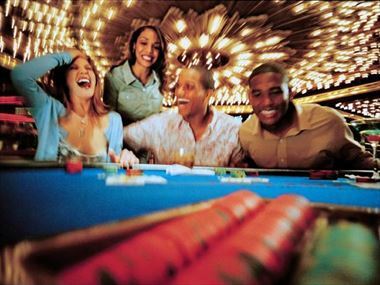 It's no surprise that Las Vegas is well-known for its fabulous casinos. 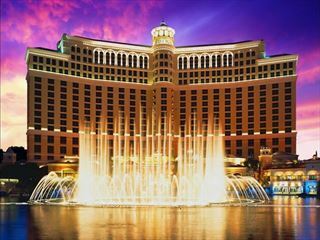 There's no need to gamble on which casino to visit, so we've got all the details for you. Love a bit of an adrenaline rush? These thrill-seeking excursions will be sure to get your heart beating faster, including diving with sharks and experiencing zero gravity. 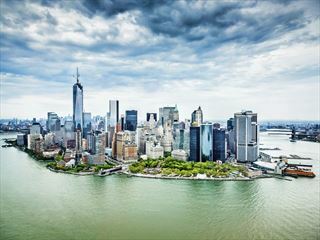 Home to the largest Forever21 and H&M shops in the states and a plethora of designer wear, New York is not the only fantastic shopping district anymore. Party on until the early hours with these great nightclub picks. We've even chosen a few entertaining theatres and live shows to check out, too. Ah, the renowned Las Vegas strip. 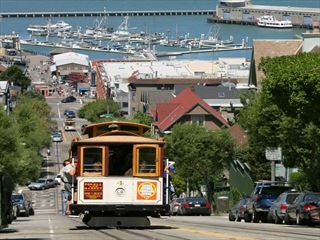 What allures people to this bright, bustling destination? We have the answers for you, and tips to having an unforgettable experience there. 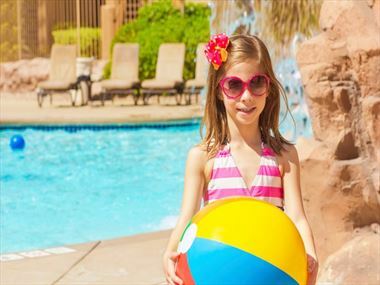 Come find out why Las Vegas is becoming a popular choice for family holidays, from family hotels, to exciting attractions and excursions suitable for everyone. 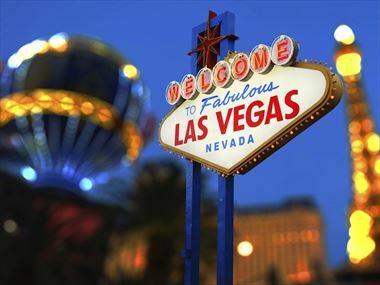 Still deciding on things to see and do in Las Vegas? Our customer's holiday stories will be sure to give you inspiration. Come and find out what our customers thought of this fantastic destination. 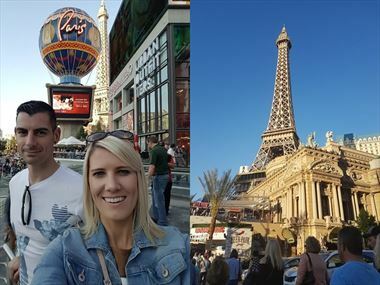 Claire decided to treat her husband to a surprise trip to Las Vegas for his 30th – what a lucky guy. Staying at Wynn Las Vegas, the pair tell us why their holiday here was so much fun.